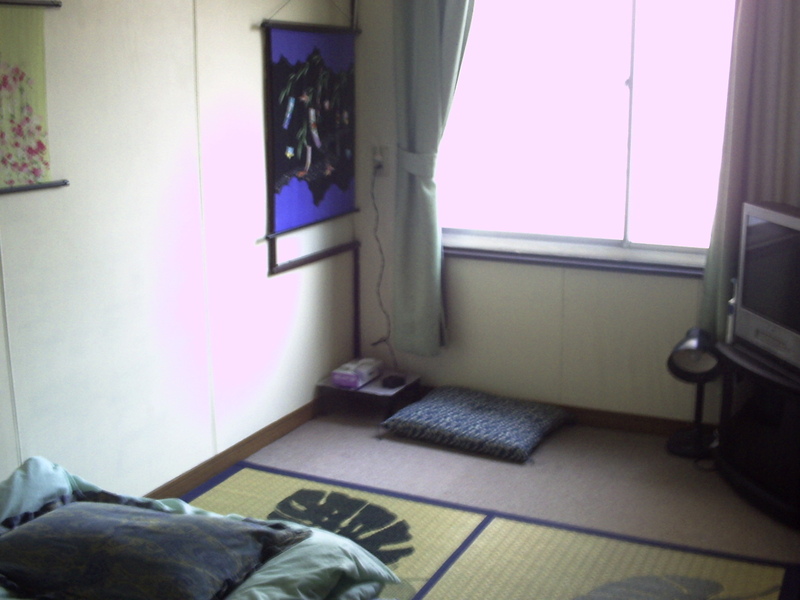 This is a small room, not Japanese style. It can accommodate one couple (one double size futon) comfortably. With two single size futons, the space is manageable with the futons folded and stacked, but only if you don't have much luggage. It gets the sunrise in the morning.